It is the tale of two Footballers, born a few years apart, immortalized in History (specially in Ghiggia’s case) for scoring vs. Brazil in two World Cup Finals a decade apart. While Ghiggia’s strike silenced the immense Maracana Stadium and earned a second Jules Rimet Trophy, Masopust’s goal was in a valiant losing effort at a time when a Brazilian victory was the natural order of things. 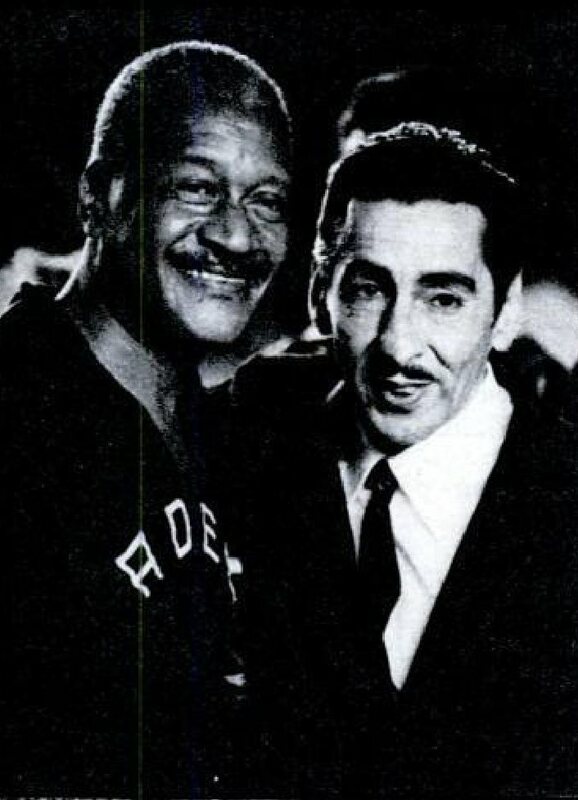 One was born in Latin America and was able to export his talent to Western Europe and even become an Oriundi and Italian International, while the other lived in the Iron Grip of Communism and was ‘allowed’ to join a modest Belgian club near the end of his career when he had outlived his usefulness for his superiors. 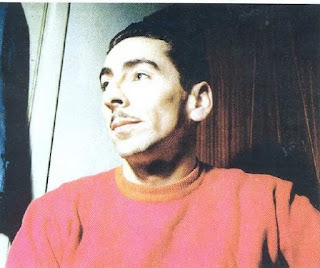 Ghiggia was born on December 22nd, 1926 at Montevideo. He started his career in the mid 1940s at little Montevideo club Sud America. After a few years, his displays on the right wing caught the eye of Montevideo giants Club Atlético Peñarol and he joined them in 1948. He earned his first three caps just a couple of months before the 1950 World Cup and all were against Brazil. He would go on and score his first ever goal for Uruguay in the first match of this World Cup in an 8-0 win vs. Bolivia. In the final phase of the World Cup, he would score vs. Spain (2-2) tie and Sweden (3-2). Everyone knows the story, Brazil’s demolition of Spain (6-1) and Sweden (7-1) and the fact that they were playing at home, had made them clear favorites. On this July 16, 1950, Uruguay after going behind drew level through Juan Schiaffino and Ghiggia entered Football history by scoring Uruguay’s winning goal with less than ten minutes left. This goal amazingly also turned out his last one for Uruguay. He would go on to earn no more than 12 caps. 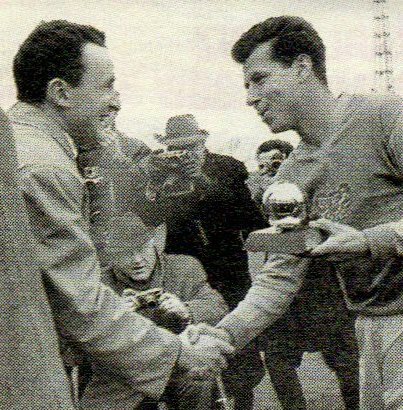 After participating in the 1952 Pan-American games, he never played for Uruguay again. He was only 25 years old. He would join the lucrative Italian Serie A, like his compatriot Juan Schiaffino, and represent AS Roma for eight years. The Italians were quick to exploit his Italian ancestry and he became a naturalized Italian citizen (just like Schiaffino). He was drafted in the Italy squad in their bid to qualify for the 1958 World Cup. Unfortunately, Italy failed to qualify for the only time (Post-War) and Ghiggia was even sent off in the deciding match vs. Northern Ireland in 1958. 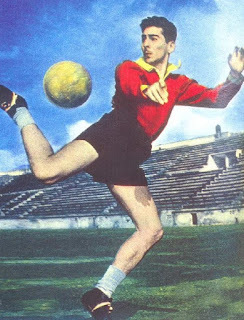 After Roma, he played one season at AC Milan (1961/62), before returning to Uruguay to play for Danubio for the final five years of his career. After retiring as a player, the 1950 World Cup winners were all guaranteed Government jobs and Ghiggia worked at Casino Montevideo for a number of years. His only Managerial position was a short spell at Peñarol in 1980. He even worked as a Driving Instructor among other things. Due to financial hardships, he was forced to sell his World Cup winners medal. The medal was bought by a Brazilian-Uruguayan Businessman who returned it to him. Josef Masopust was born on February 9, 1931 at Střimice. He started his career at the end of the War, as a 14 year old at town of ‘Most’, which was part of Bohemia. By 1948, aged 17, he was playing regularly for SK Most. By 1950, he was transferred to Technomat Teplice. In another two years, he ended up at the Army team Dukla Prague. Initially an inside half, he would eventually move to the center. He would remain at Dukla for the next 16 years. He soon caught the eye of the national team selectors and aged 23 was selected for National team duty following the 1954 World Cup. His baptism was vs. the Mighty Magyars of Ferenc Puskas on October 24, 1954. The (1-4) loss was no surprise at a time when the Hungarians would steamroll over all opponents. He would have to wait almost two years for another cap, but starting 1956 he was a National team regular. 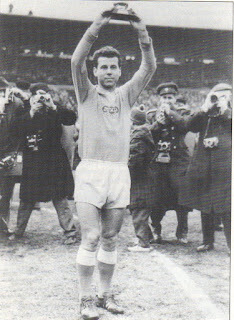 He actively participated in Czechoslovakia’s qualification for the 1958 World Cup. However, after the World Cup he was written off as too old and too slow for the modern game and was out of International reckoning for some time. But fate intervened to get him back to the National team. On May 1, 1960, Czechoslovakia were to play a high profile friendly vs. Austria in Prague. A few days before the match, one by one, three selected midfield players withdrew due to injuries. Czech Manager Rudolf Vytlacil had no choice but to recall him. Masopust grabbed this opportunity and scored Czechoslovakia’s first goal by moving past as many as six Austrians, on route to a 4-0 victory. 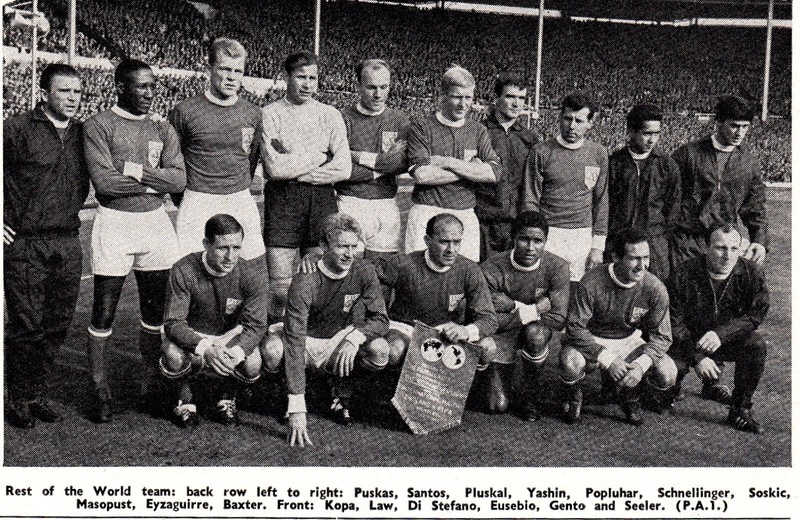 He was back in the team and would remain and be an integral part of the 1962 World Cup squad. The Czechs had gone to the World Cup with low expectations, but they surprised everyone (including themselves according to Masopust) by reaching the Final vs. the mighty (but Pele-less) Brazilians. Masopust recalled that initially he believed losing 0-5 to First Round opponents Spain would have been a moral victory. 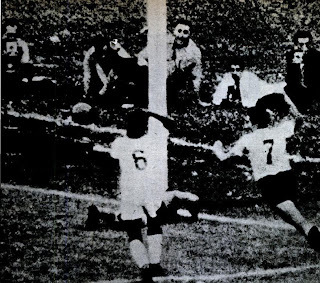 Of course Santamaria, Gento and Puskas were less fearsome in the Spanish Red than the Real White and Czechoslovakia’s (1-0) victory and the scoreless tie vs. Brazil (in the first round) gave them the confidence they needed. They improved with every match with Masopust impressing the observers. In the Final vs. Brazil, Masopust opened the scoring from a through pass from Tomas Pospichal. The eventual loss vs. Brazil was predictable and there were no disputes as which was the better team overall. At the end of the year, Masopust’s displays would help him to be elected as ‘France Football’ Magazine’s Ballon d’Or ahead of Benfica’s Eusebio. Photo From: ‘Slavne Nohy’, Jaroslav Salek, Zdenek Salek, 2002. His newfound fame earned him the distinction to be selected for the FIFA XI squad that played England at Wembley to celebrate the Centenary of the FA on October 23, 1963. 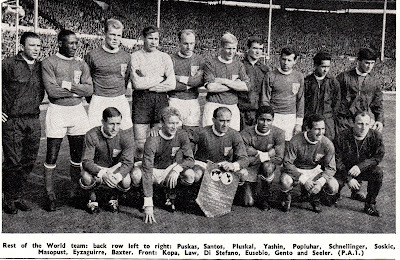 In an interview in 1970, he considered being part of Stanley Matthews Testimonial match in 1965 at Stoke as his greatest memory, even eclipsing the 1962 World Cup. Masopust would remain part of the national Team setup until 1966 and would remain with Dukla until 1968. Now aged, 37, he was allowed to play in the West and joined the modest Belgian club Crossing Molenbeek for two years before retiring in 1970. He entered into Management with his beloved Dukla for a few years. He had his greatest success as a manager when he won the Czech league title with Zbrojovka Brno in 1978, before joining Belgium’s Hasselt. 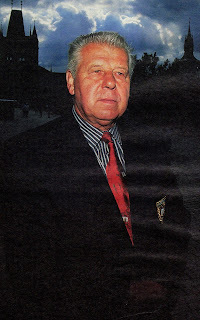 He was chosen as Czechoslovakia’s National Team Manager in the fall of 1984. However, he failed and left his post after failing in the qualification for both the 1986 World Cup and the 1988 European Championship. The team was in a transitional phase as he came in at the end of the Panenka/Nehoda generation and the initial stages of the Chovanec/Skuhravy generation. For the following decade he managed without much success the Indonesian Olympic squad, Zbrojovka Brno and Pelikan Diecin. Josef Masopust passed away on June 29, 2015 aged 84. He is considered as one of the best ever Czech players in History and the only one of two (Pavel Nedved the other) to have been awarded the Ballon d’Or. He believed the Ballon d’Or actually turned out to be a disservice to him in Czechoslovakia as many hated Dukla since they were the Army Team and represented the Establishment and as their symbol he was booed even more. He would have preferred to be at Slavia Prague but in the Communist era, he did not have such choices. Like many of his excellent Eastern Bloc contemporaries (i.e. Yashin, Hidegkuti, etc), we are left wondering the career he would have had at a top Western European club in his prime. For Brazilians the event of July 16, 1950, is referred as ‘Maracanazo’ and their goalkeeper on that day Moacir Barbosa became a pariah to his nation and lived the rest of his life in misery. No one was more sympathetic to Barbosa’s plight than Ghiggia, who would often point out that Football was a team effort and the burden should not be on one man. 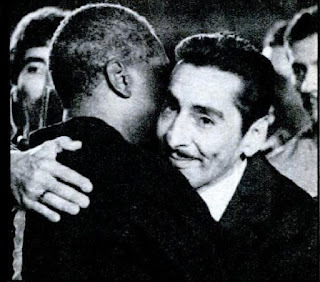 Alcides Ghiggia, who made an entire nation cry on July 16, 1950, as destiny would have it, passed away, aged 88, on that same exact date 65 years later. He was the last remaining survivor of that Uruguayan team.